What does it mean to have a x-mark by your phone number? You can mark your phone number with a x (like the one above) on Já.is. The owner of the phone number dose not want to be disturbed by parties that conduct direct marketing. For further information you can look up the 5. paragraph 46. article of the Icelandic Telecommunication law. 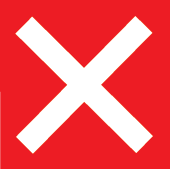 Já is not responsible for users not respecting the x-marks. You can add an x-mark to your phonenumber through forms here.